US President Donald Trump prepared to introduce a state of emergency along the southern border of the US. POTUS Donald Trump prepared to release an emergency vote order along the southern border. This is evidenced by the draft statement from the White House. “The massive amount of aliens who unlawfully enter the United States each day is a direct threat to the safety and security of our nation and constitutes a national emergency,” a draft of an emergency vote order reads. “Now, therefore, I, Donald J. Trump, by the authority vested in me by the Constitution and the laws of the United States of America, including the National Emergencies Act (50 U.S.C 1601, et seq. ), hereby declare that a national emergency exists at the southern border of the United States,” the draft reads. Thus, Donald Trump will be able to receive funds for the construction of a wall on the border with Mexico without a decision of Congress. The reason for this was the inability to approve the US budget in Congress because of the conflict between the democratic opposition and President Donald Trump. The American leader is committed to building a wall on the southern border with Mexico – this is one of his main election promises. At the same time, the Democrats categorically refuse to vote for the financing of this project worth more than $5 billion. “I have other alternatives if I have to and I’ll use those alternatives if I have to,” he told media. “A lot of people who wants this to happen. The military wants this to happen. This is a virtual invasion of our country,” Trump added. What will emergency order change? In case of emergency, the Trump administration can receive $681 million from Department of the Treasury, $ 3.6 billion from military construction, $3 billion from the Pentagon funds and $200 million from the funds of the Interior minister. For the construction of the wall, United States Army Corps of Engineers will be deployed. Some parts will be built on private property and will require the administration of land acquisition. At the same time, journalists note that in the event of the introduction of the state of emergency the Democrats are likely to challenge the decision in court. Trump News: POTUS to Declare Emergency Order to Build Wall - What Changes Will It Bring? 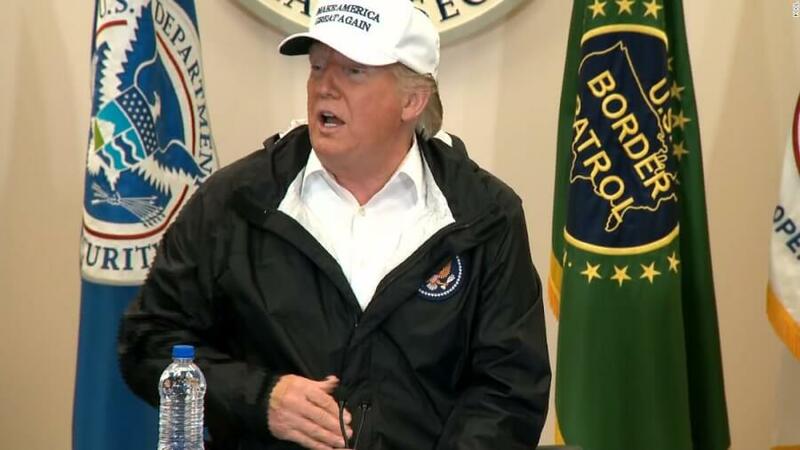 US President Donald Trump prepared to introduce a state of emergency along the southern border of the US. Read the details on Nexter.org.